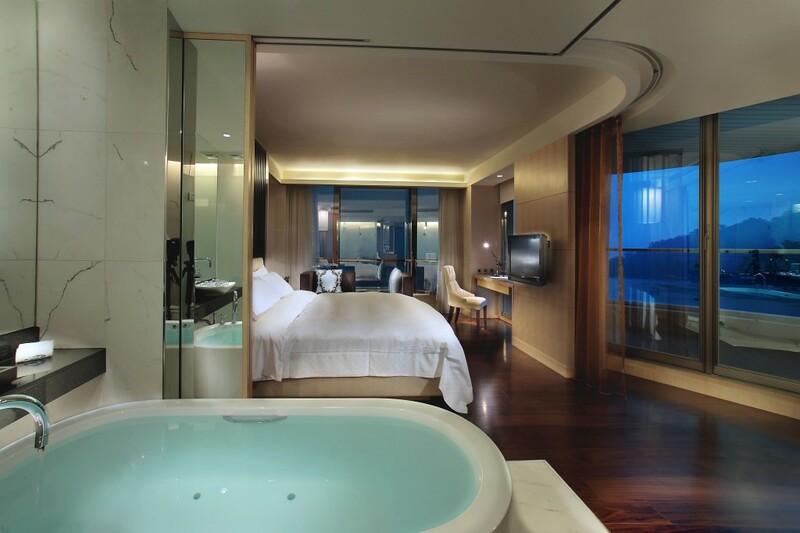 Overlooking the rippling waters of Sun Moon Lake, The Crystal Resort offers pure luxury against the backdrop of natural beauty. Situated in one of the most scenic parts of Taiwan, the hotel is the perfect place if you are looking for comfort, tranquility and an escape from urban life.Every aspect of The Crystal Resort was designed to offer the best possible views of the beautiful lake and no cost has been spared to ensure guests are able to enjoy the utmost luxury. A variety of stunning rooms are available, with the VIP rooms an ideal choice for couples looking to enjoy a romantic getaway in beautiful surroundings.The Yummy Lake view restaurant provides a mixture of fine Chinese and Western food with fine views of the lake, while La Luna bar is the perfect spot to enjoy a drink or two and relax the night away. Other facilities include a gym, observation deck, meeting and conference room and 24-hour concierge. Sun Moon Lake and the surrounding area offers numerous opportunities for exploration, including hiking, cycling, sailing and fishing. Nature lovers will enjoy the varied range of beautiful birds that call the lake home, while the sight of fireflies lighting up the night sky is something you will never forget. There are also several temples in the area, as well as Ita Thao village, which offers an insight into the life of the local Thao tribe, who have maintained a distinctive culture. The hotel is around a three-hour drive away from Taoyuan International Airport and Taiwan’s capital Taipei. Other beauty spots, such as Yushan and Taroko national park are also within driving distance. Book your stay at The Crystal Resort today.